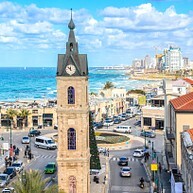 The Jaffa Clock Tower's history goes back to the Ottoman period. 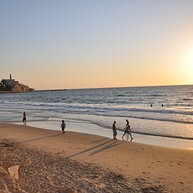 It is located at the entrance to the Old Jaffa area of the city. The Clock Tower is often used as a meeting point for city tours, and is one of Tel Aviv's most recognizable landmarks. 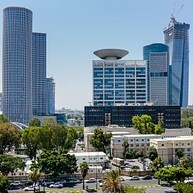 The Azrieli Towers were built between 1996 and 1999, which makes them a relatively new addition to Tel Aviv's city scape. Visit the towers and do take the chance to shop at one of the largest shopping malls in the country (located at the ground level of the towers). One of the most popular museums in Tel Aviv, the Museum of Art hosts an ever-changing selection of excellent exhibitions. With a permanent display at departments for Israeli and contemporary art, design and architecture, and even photography, the museum truly has something to offer any visitor. According to Greek mythology, Andromeda was tied to one of the rocks somewhere along the shore and offered to a sea monster. She was rescued by Perseus, and the two later went on to go get married. The rock Andromeda was once chained to is, as the legend goes, still here today. 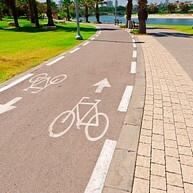 If you would like to see one of the most amazing areas of Tel Aviv, Neve Tzedek is the place for you to go. Famed artists and writers used to live here. Today, Neve Tzedek preserves much of its historical charm and is a great neighbourhood to explore all while dining at authentic restaurants and dropping into colorful shops. The Hayarkon Park is the perfect place if you want to get away from the busy streets of the city. It's located just right outside of downtown Tel Aviv and is highly popular with residents for its facilitates and scenic areas. World-renowned musicians (from The Rolling Stones to Justin Bieber) have performed here at different points in time. If you are in Tel Aviv and would like to know more about the country's history and culture, Eretz Israel Museum is the place for you. The museum not only has exhibits but also a planetarium, lecture rooms and workshops for its visitors. 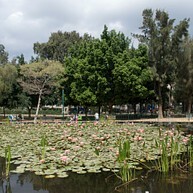 If your are looking to escape from the bustling streets of the city, Meir Park can be a great choice for you. Sit down and have a cup of coffee in the cafe or stop by at the park's playground if you're visiting with kids. It's a wonderful, central green spot for everyone to enjoy nature for a little while. 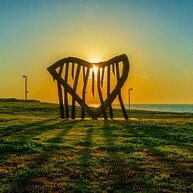 Charles Clore Park is located right next to the Mediterranean Sea. Take your friends or family to this park and have a nice afternoon while barbecuing, playing ball games, riding a bicycle along the scenic promenade or just relaxing out in the sun. Al-Bahr Mosque is the oldest mosque in Old Jaffa. 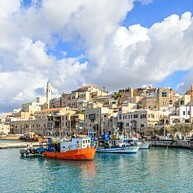 People arriving by boat used to enter the city via Jaffa's old port. To take in the view of the city's historic center, use the mosque as a vantage point and enjoy the panorama. Al-Bar Mosque is located right on the shore of the Mediterranean Sea. 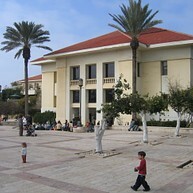 Suzanne Dellal Center is a dance and theatre show space with an inviting open-air garden, a venue popular with both locals and visitors. The Center boasts an ever-changing offer of professionally staged performances, so do check the website for schedules when you're in town. Just outside of the city you can bump into the largest number of animals in a safari park in the Middle East. 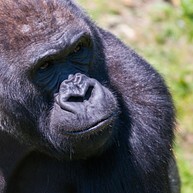 Gorillas, hippos, lions and elephants are just some of the 1600 species of animals waiting for you! 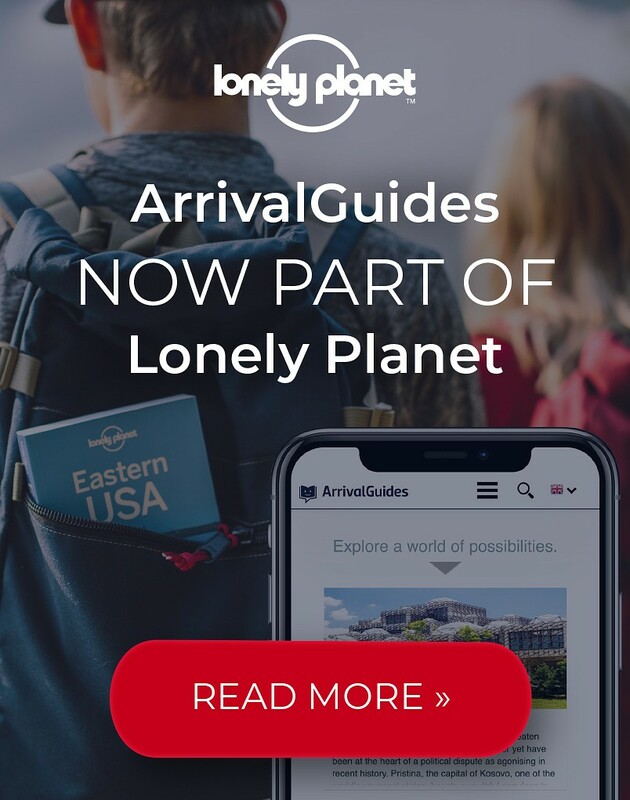 Don't miss the chance to visit this place if you are in town! The heart of Old Jaffa, Kikar Kedumim is an ancient central square and an essential stop for anyone touring the city. With the city port on one side and Old Jaffa streets on the other, Kikar Kedumim is the perfect departure point for a Tel Aviv city tour. Do not miss its centerpiece fountain, as well as souvenir shops and eateries in the area. 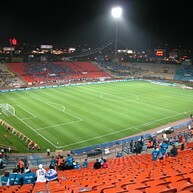 The former national stadium of Israel (it used to hold the title up until 2014) is the Ramat Gan Stadium. It is mostly used to host football games, but is also a site for large-scale concerts and athletic competitions other than football.